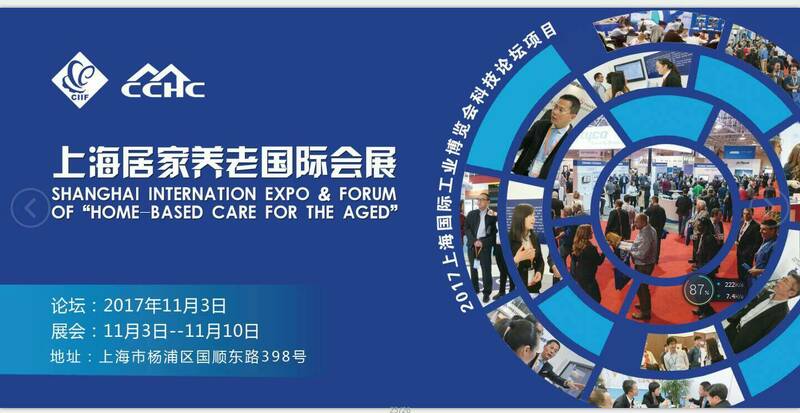 Integration through Caregiver education as a project with the AGE-Foundation. 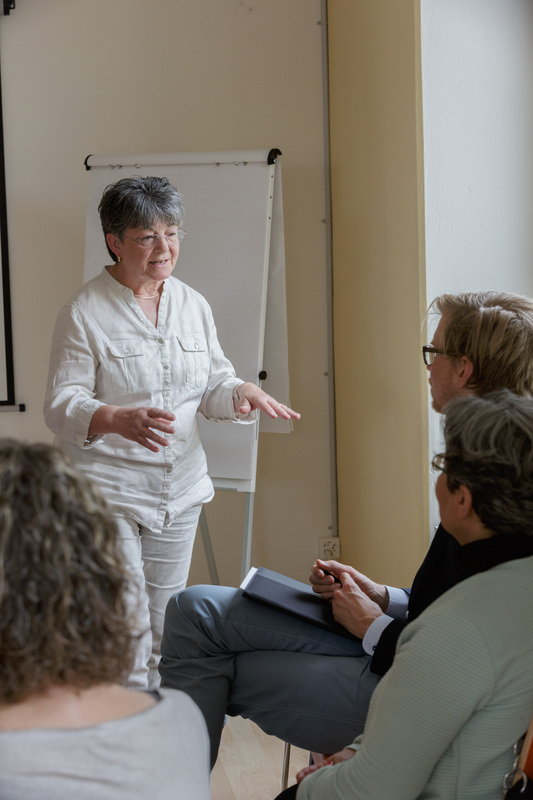 The nursing assistant course from Goldstück has been recognized by Tarifsuisse and Spitex associations since November 2018. Goldstück starts to train internatonal trainers. 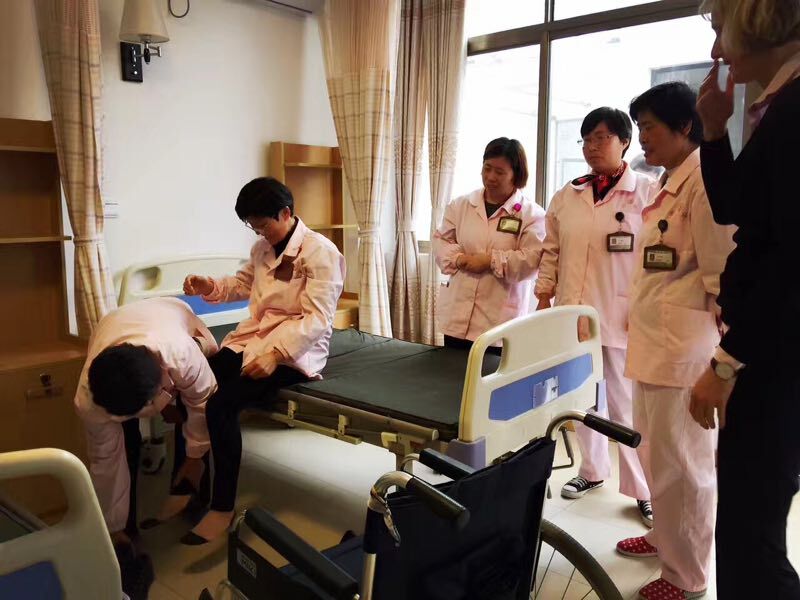 As a strategic positioning of the Dujiangyan city as a healthcare-touristic city, the government want to combine a caregiver- and hotel management program. 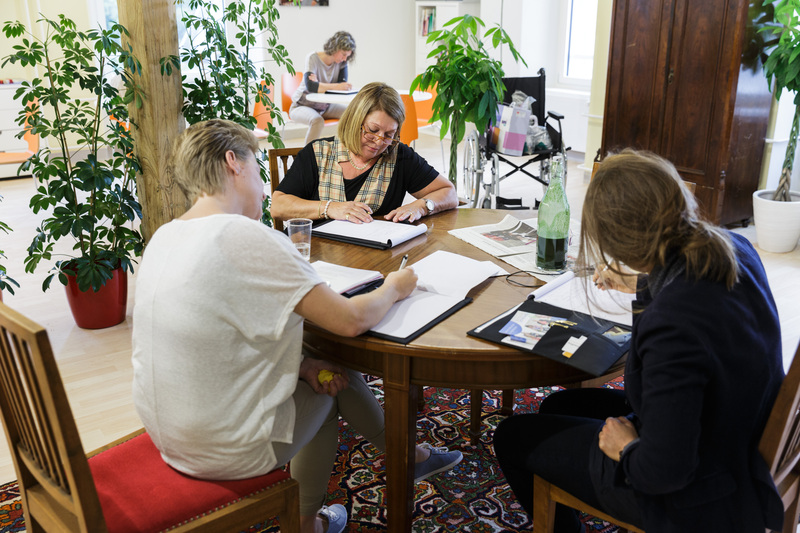 The integration project "Goldstück at Home", which gives graduates a placement on an internship at the Goldstück nursing assistant course, is supported by the Age Foundation with start-up funding of CHF 50,000. Merrill Lynch and Age Wave are collaborating on a new research initiative to gain greater understanding of the experiences and challenges people face during different life stages. Through a series of studies over the coming years, we will investigate people as they journey through distinct life stages. 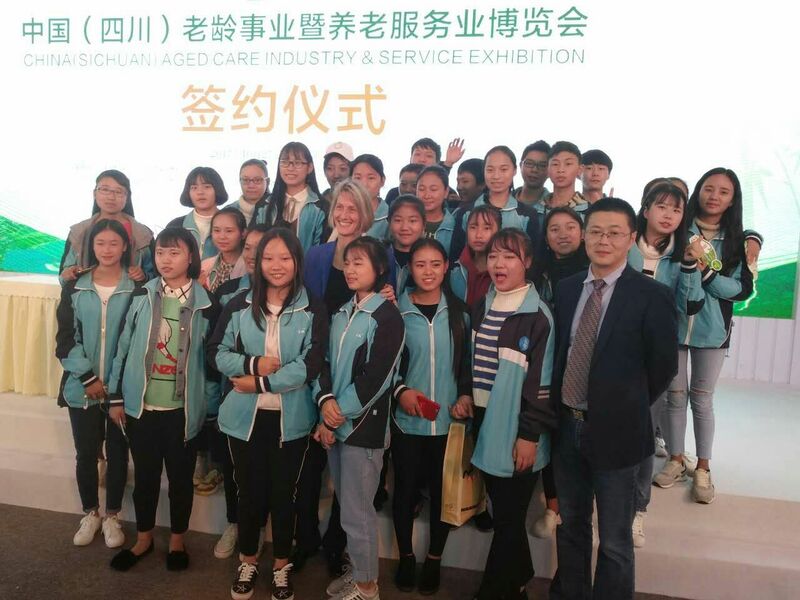 NIIA (National Institute of interdisziplinary Institute of ageing) organised the first Senior Welfare and Wellness Industry Summit in Chengdu. Interesting speaker from national Committee of CPPCC, Real estater, WHO, and Ministery of Civil affairs inspired the big audience. 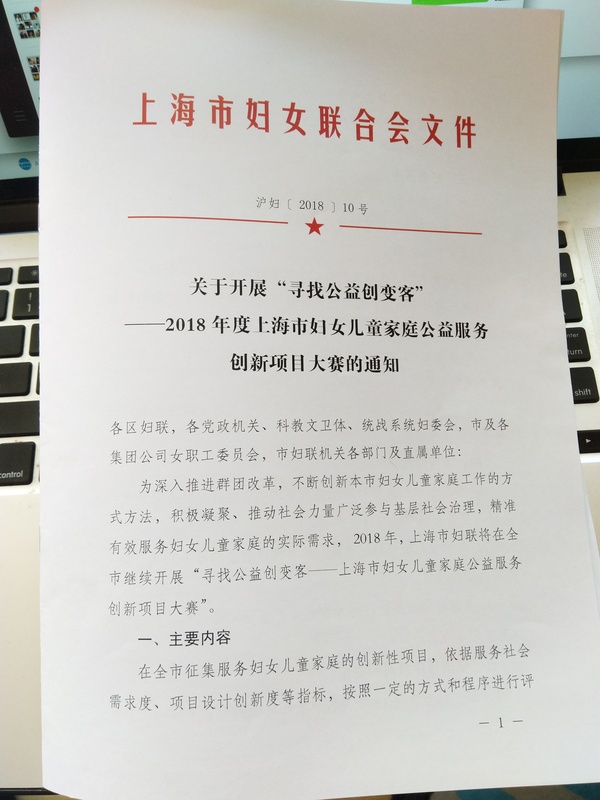 The programme will be offered from 2018 also in China. 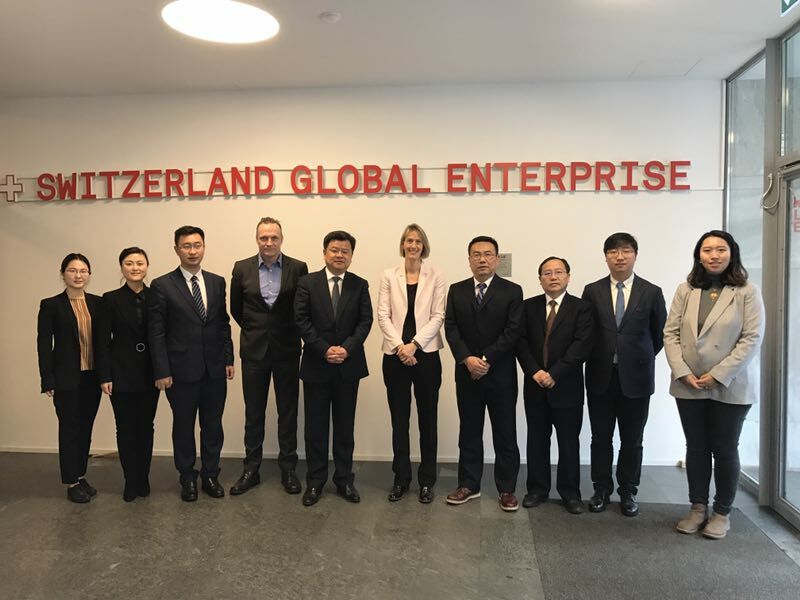 The listed company Far East Horizon Ltd. (Baikun Healthcare) and Goldstück are in constructive talks about cooperation. Goldstück is involved as a partner with Zhiren group in various large real estate projects in the healthcare sector. The current Spitex Bachtel newsletter describes the cooperation between Spitex Bachtel and Goldstück. Goldstück and Comparis launch the first Home Care comparison in October. Around 1200 Spitex and care organizations will be registered in the next days for a first self-declaration. Subsequently, the criteria are defined with a professional advisory council. Plan is an online comparison with additional telephone consultation offer for relatives and assigners. The aim is that relatives, doctors and assigning bodies find the appropriate care organization for their respective sitation and the offers of the individual providers are comparable. 31-year-old Angesom Tesfay Embaye from Eritrea has got a good start in the age and care center Turmmatt and learns there much for life. 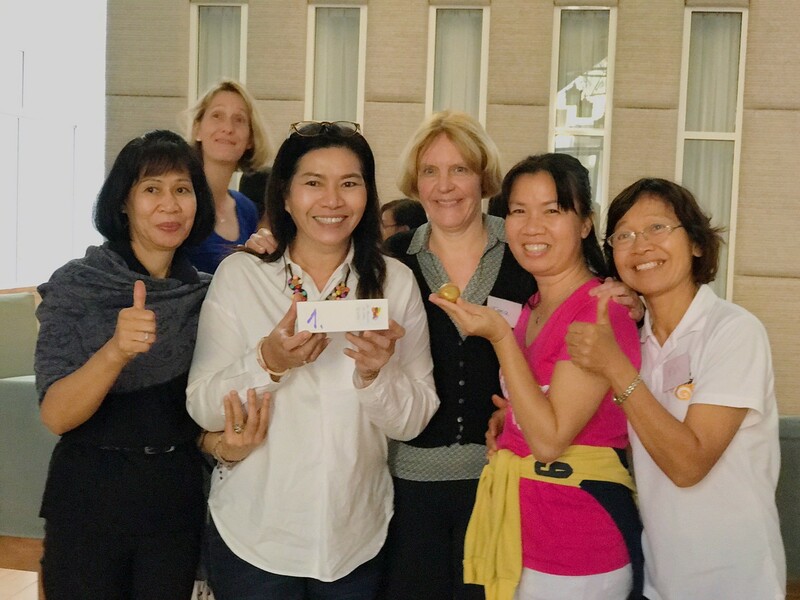 Goldstück at Home AG places the first graduates of the refugee Nurse assistant Course in different places. 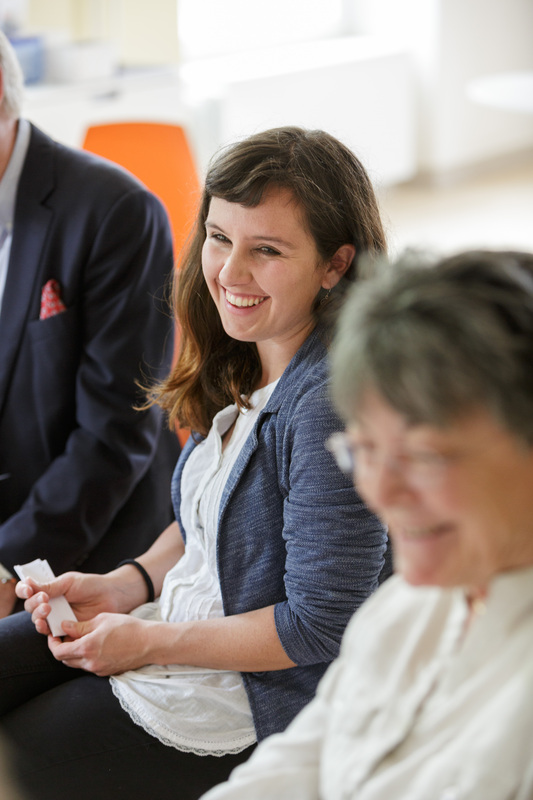 Spitex organizations such as Spitex Bachtel, Spitel Limmat, Turmmatt care center and private families offer opportunities for a 3-month internship. During this period, the refugees of Goldstück at Home are closely followed personally by the lecturers who have previously taught. 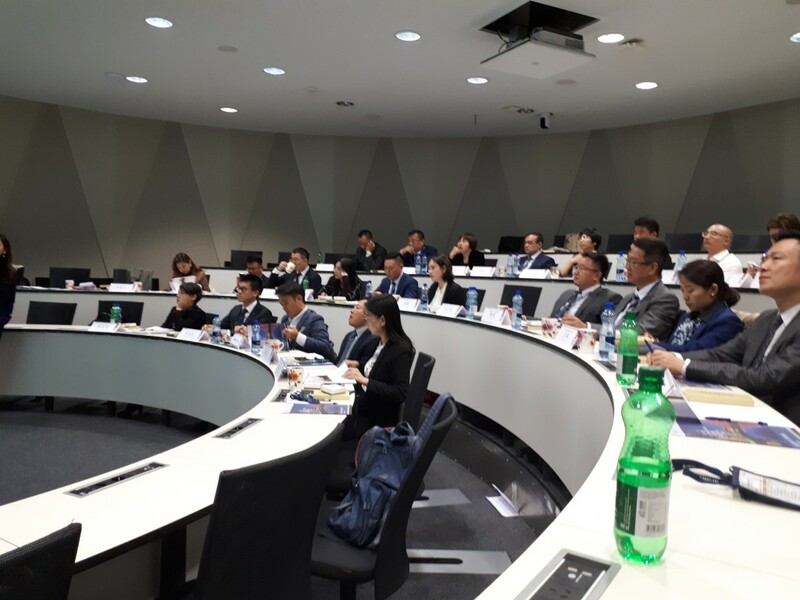 This is an important aspect, since valuable relationships have already been established in this first period of training, and these can now be deepened in cooperation with the companies and families. The aim is that the refugee is employed directly after 3 months by the organization or private family. Goldstück at Home AG sees itself as a stepboard for the graduate nursing assistants / Spitex into the first labor market. 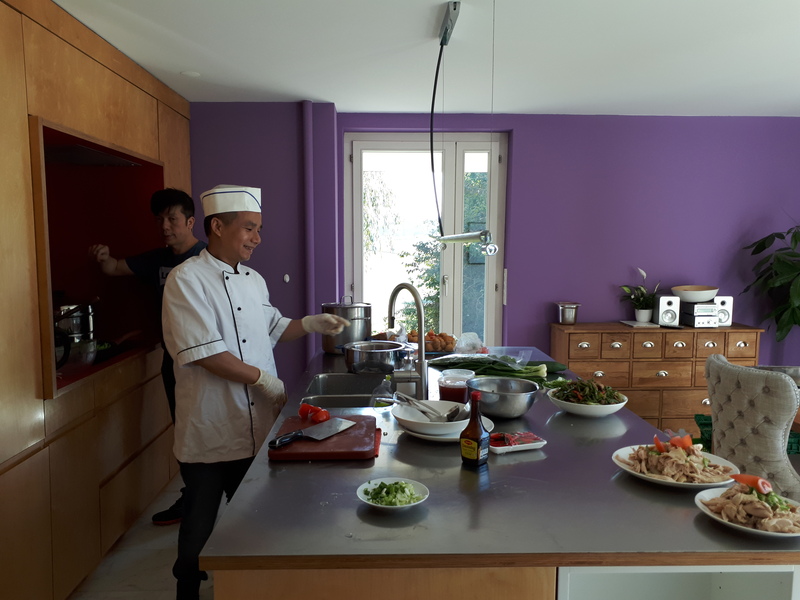 Goldstück at Home is supported on all sides by the innovative refugee project, with which recognized and temporarily admitted refugees can be trained as nursing assistants with a placement internship at Spitex or private families. 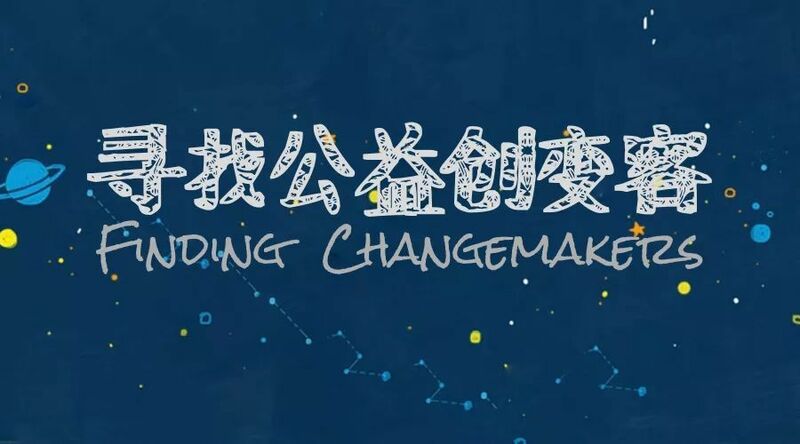 SEM also supports the project in a cooperative manner. 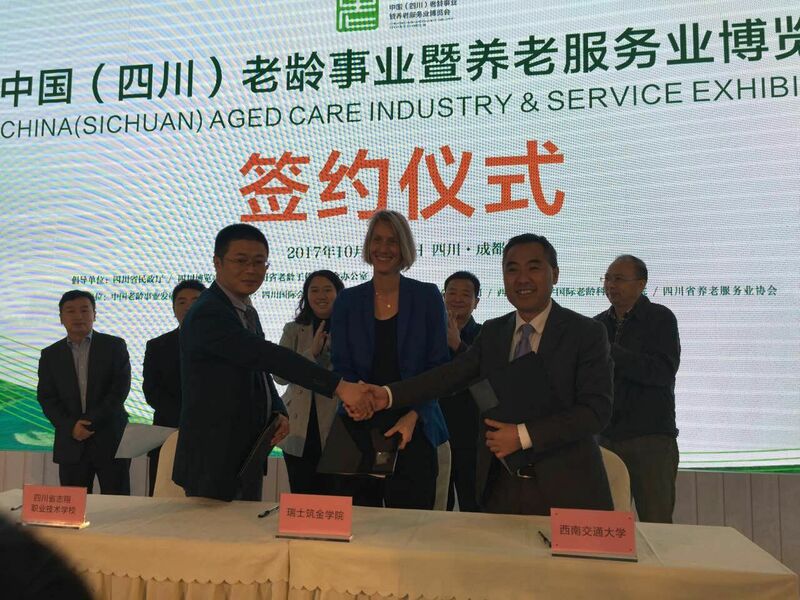 Great Hongqiao Hospital Group and Goldstück enter a strategic JV and set up an Academy for Care in Shanghai. 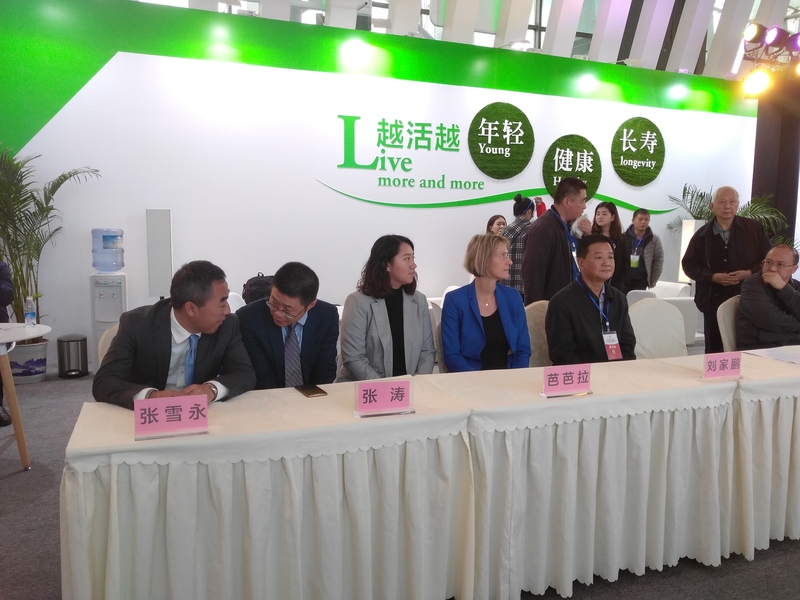 The Great Hongqiao is a company with several subsidiaries in hospitals, oral care products, a Rehab clinic and other health care investments. 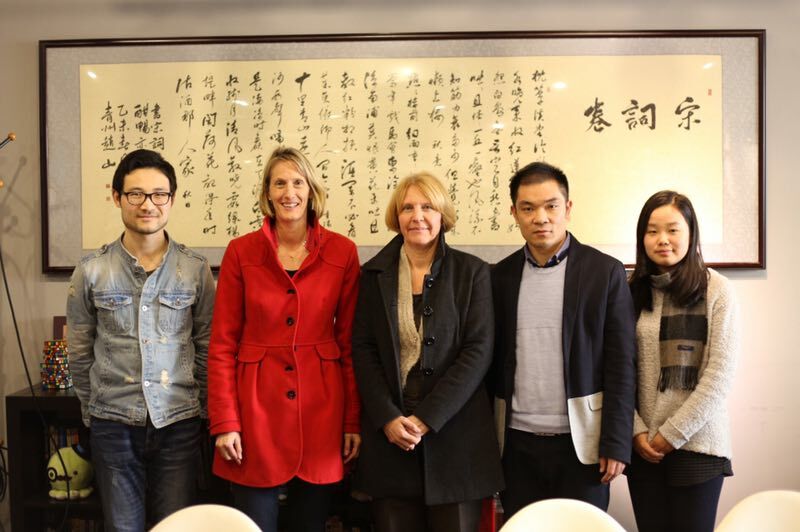 Frank Eggman, consul of the Swiss Embassy in Chengdu, NIIA, the National Institute of Interdisciplinary Aging, and Goldstück met for a valuable discussion about the Chinese health care system as well as solutions. Goldstück at Home and Spitex Bachtel are launching a new opportunity for career advancement in the care of internships and later appointments for graduates from the nursing course Spitex. Spitex Bachtel provides the inhabitants of the municipalities Gossau ZH, Hinwil, Rüti, Seegräben and Wetzikon as a strong regional network for outpatient care, care and housekeeping with individual services. As a nonprofit organization with around 160 qualified employees, Spitex Bachtel maintains, supports and supports those people competently and sustainably, who want to live independently at home. Existing resources of the clients and the relatives are preserved, used and promoted. Juridically, the Spitex Bachtel is a non-profit corporation with registered office in Wetzikon. The municipalities of Bubikon, Gossau ZH, Hinwil, Rüti, Seegräben and the city of Wetzikon hold the shares. 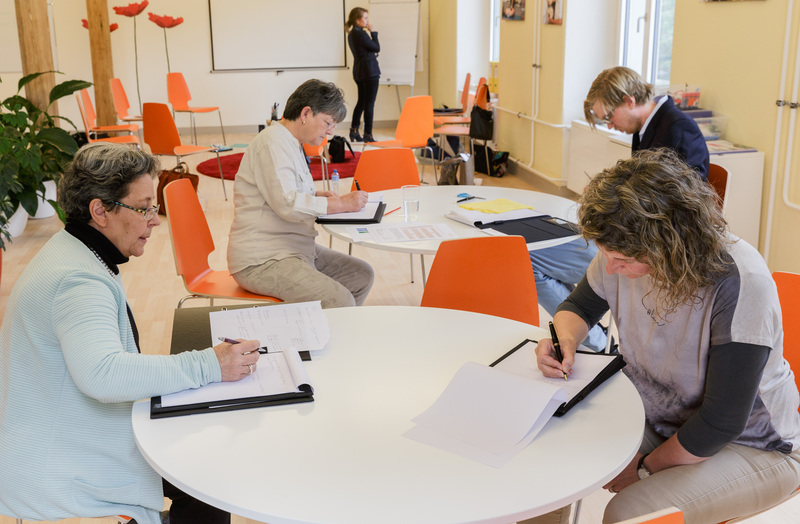 Goldstück and Feusi offer basic and nursing courses from September onwards in Switzerland. The Feusi Educational Center is the leading private education provider. From the kindergarten, primary school, secondary school, maturity and commercial school to continuing education, the Higher Vocational College of Business HFW and further to the Private University of Applied Sciences PHW Berne, Feusi is the alternative to public schools. It offers a comprehensive and high-quality offer with federally recognized degrees for general education as well as for commercial and business education and further education. For quality assurance, Feusi regularly performs customer and employee surveys and uses the findings gained from them for continuous improvement. Since February 2002, the Feusi eduQua has been certified. Parallel to theory and practical training, the participants complete regular learning sequences with the eLearning program. 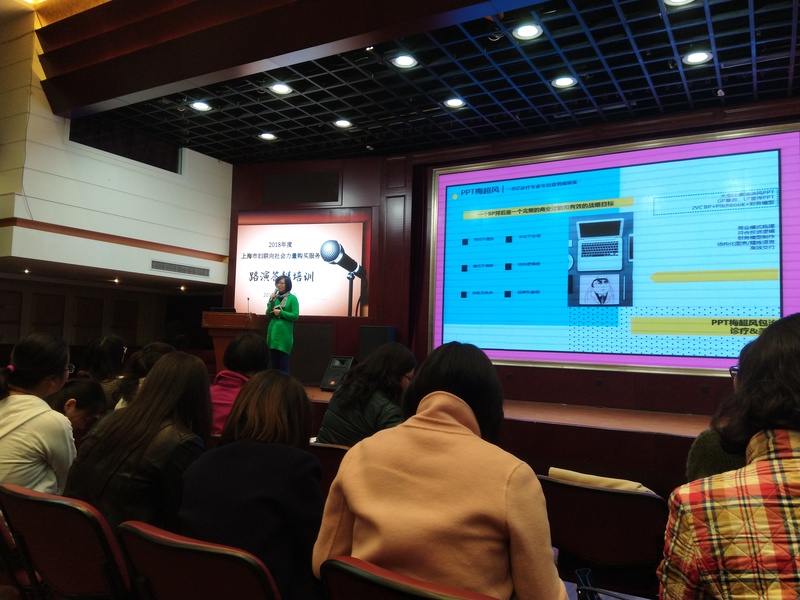 In addition, a knowledge check is carried out at the end of the theory education. In order to ensure the know-how, interactive learning sequences, which are automatically assigned to the participants, are given at regular intervals. The results are held centrally in the participant profile and influence the defined learning path. Goldstück is developing this program to ensure the teaching quality worldwide in collaboration with the partner easyLeran, who already has experience in the field of e-learning with hospitals. EasyLearn presents the software, Goldstück the content. The program can also be used by spitexorgansations or online platforms, which provide nurses to check in an objective way the knowledge of the employees. 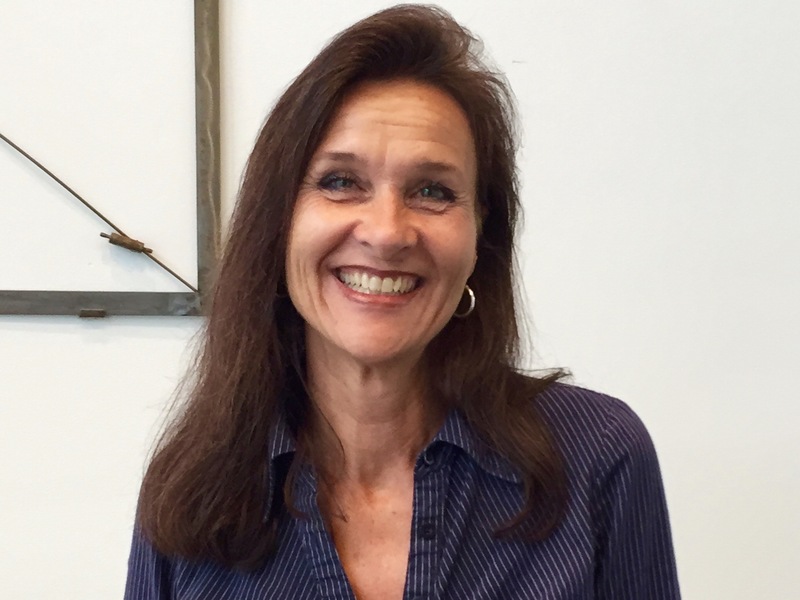 With Irma Boogaard there is a very experienced Nurse and Head of Teaching on Board. 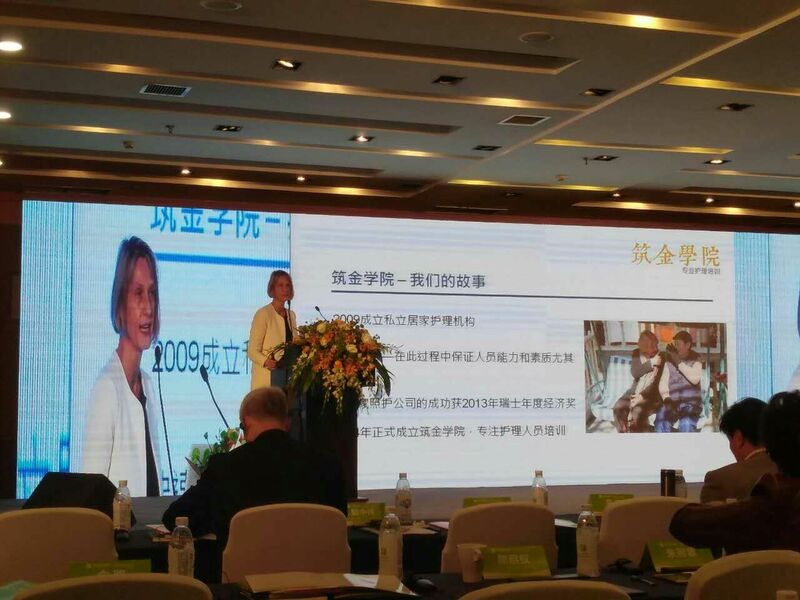 Irma lives in Shanghai and knows the chinese Health care market very well. 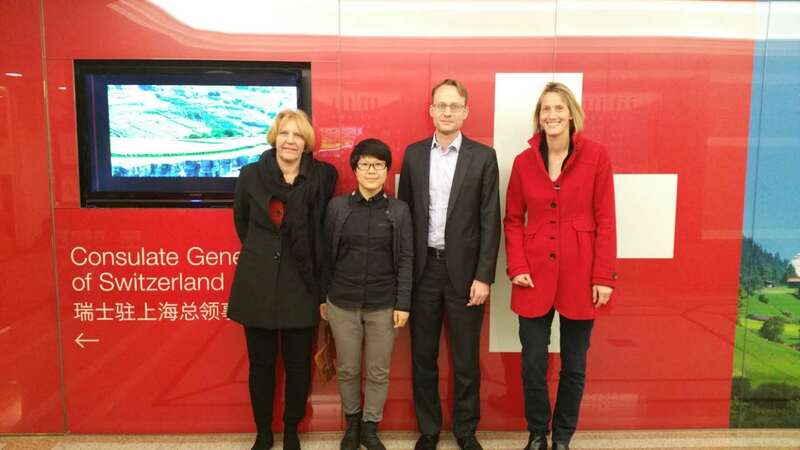 Yunyun Chen is the bridge between chinese culture and swiss economic background. Discussions with Home Care Operators, the swiss embassy and a well-respected military academy were very successful. 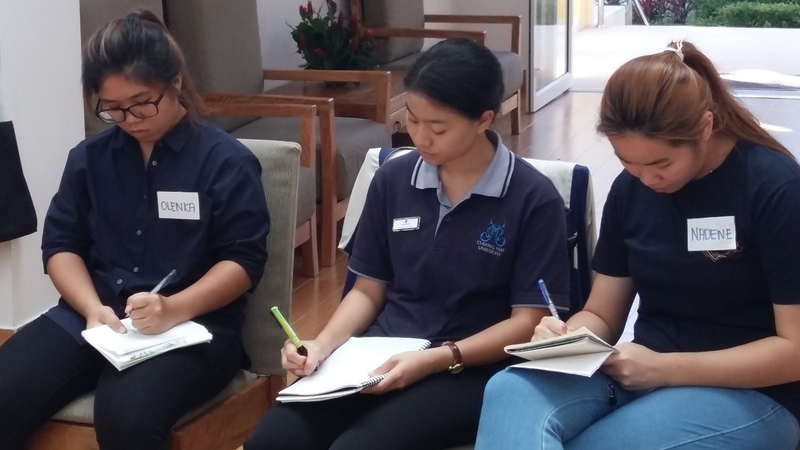 17 participants, among others trained nurses and students from Thailand and Singapore, acquired the practical knowledge to be able to care for elderly people. 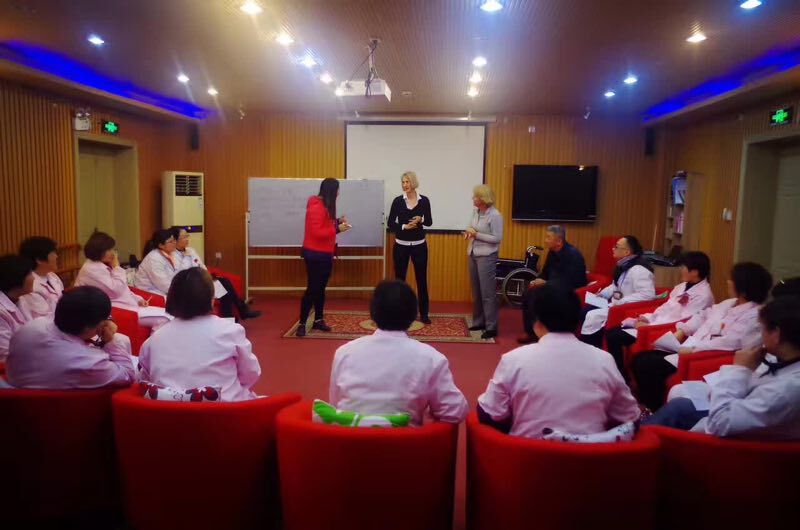 As in many Asian countries in education of professional nursing staff only the theoretical background is taught, the participants were very interested in the practical inputs from Switzerland. 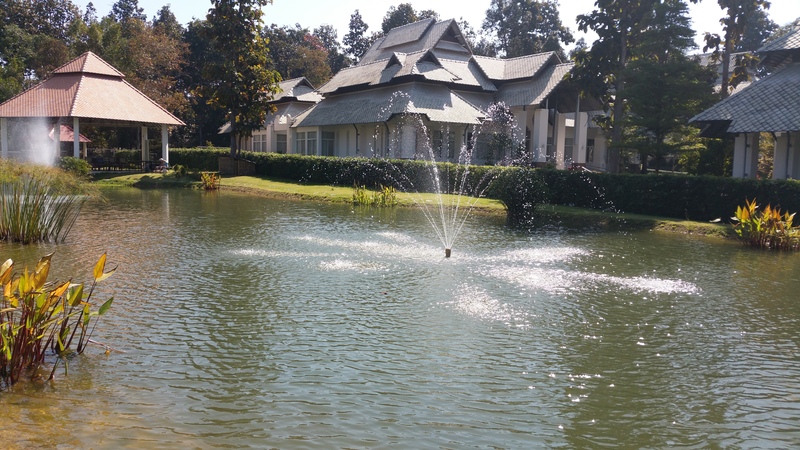 In cooperation with the renowned resort «Vivobene» in Chiang Mai Goldstück launched in November the first «Basic course for care». 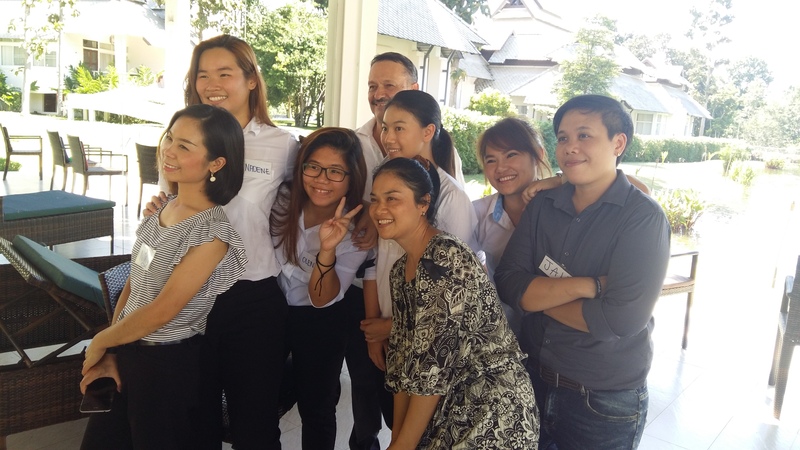 15 participants, among others trained nurses and students from Thailand and Singapore, acquired the practical knowledge to be able to care for elderly people. As in many Asian countries in education of professional nursing staff only the theoretical background is taught, the participants were very interested in the practical inputs from Switzerland. 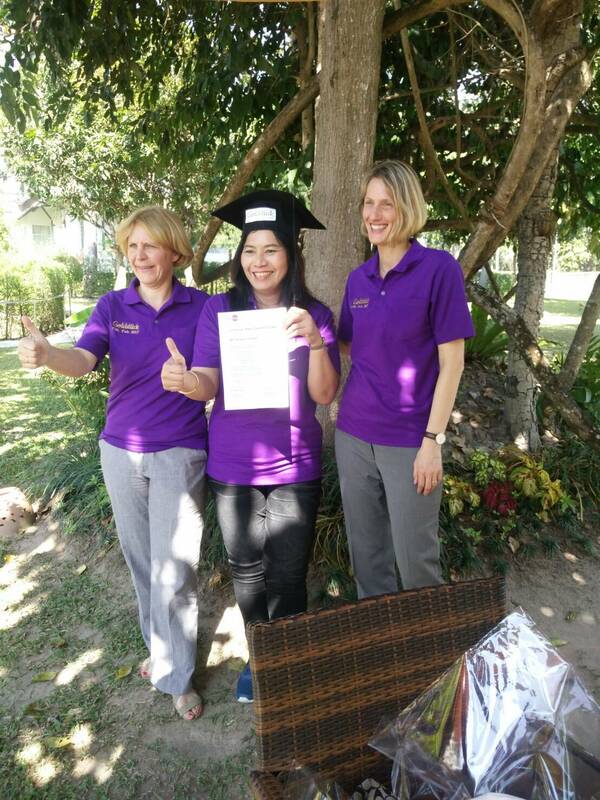 The education for his new job was with Goldstück in the Basic Course for care and the assistant nurse course in the campus. 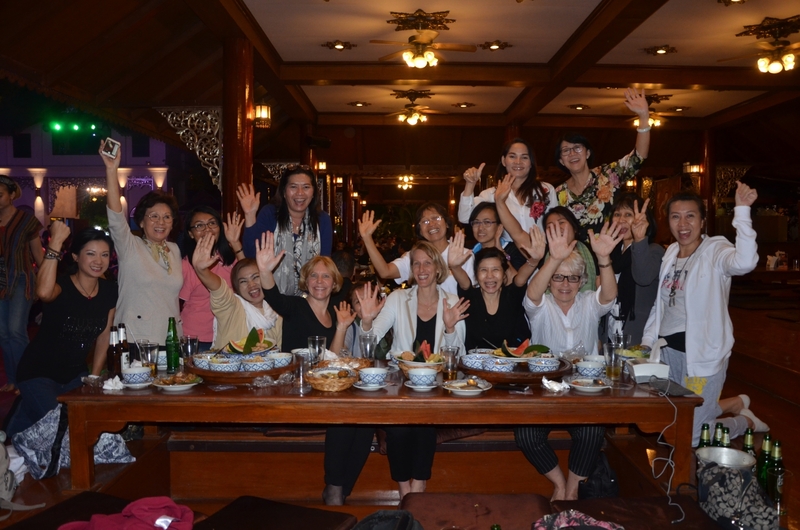 Health care officials from all over the world met from 11th to 13th September in Chiang Mai for an exchange on demographic changes. Prof. Ian Philp, professor at the University of Warwick, led the conference with participants from England, Thailand, India, China, Singapore, Portugal and Uganda. 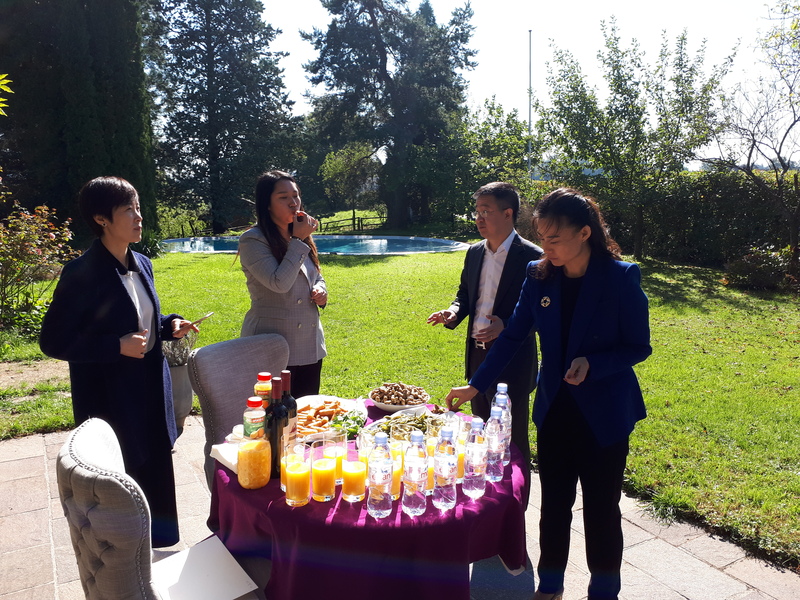 The exchange comprised of presentations from global home care organizations, Cambridge University, Health Nest Uganda as well as an interactive World Café, in which the guests talked about further developments in the health care sector. 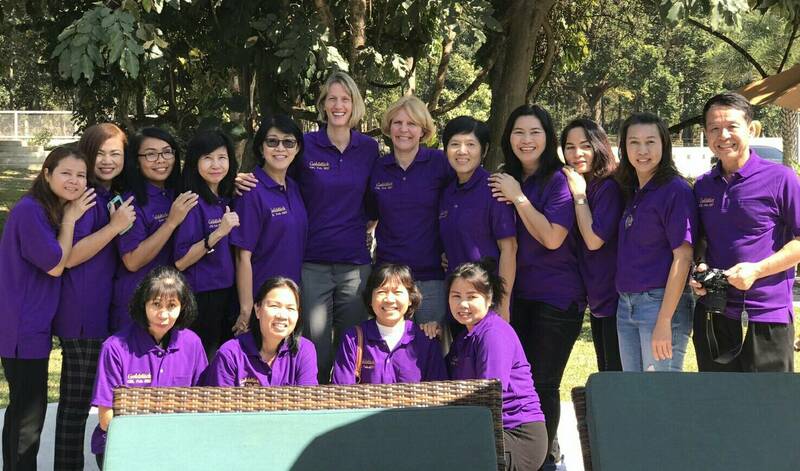 Barbara Radtke was invited as a guest speaker to present Goldstück’s training and further education offer. On 13th June 2016 the first „Course for nursing assistant Spitex“ started with 19 participants. 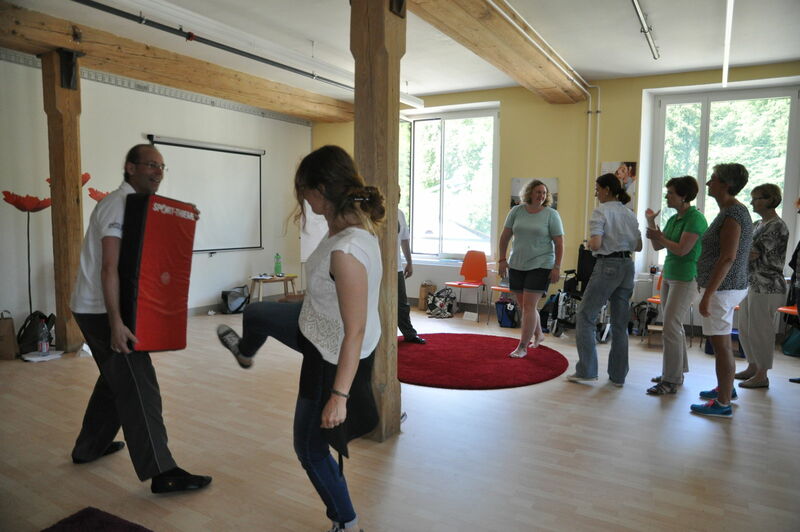 11 attendees already visited Module 1 at Migros Klubschule and started directly with Module 2. 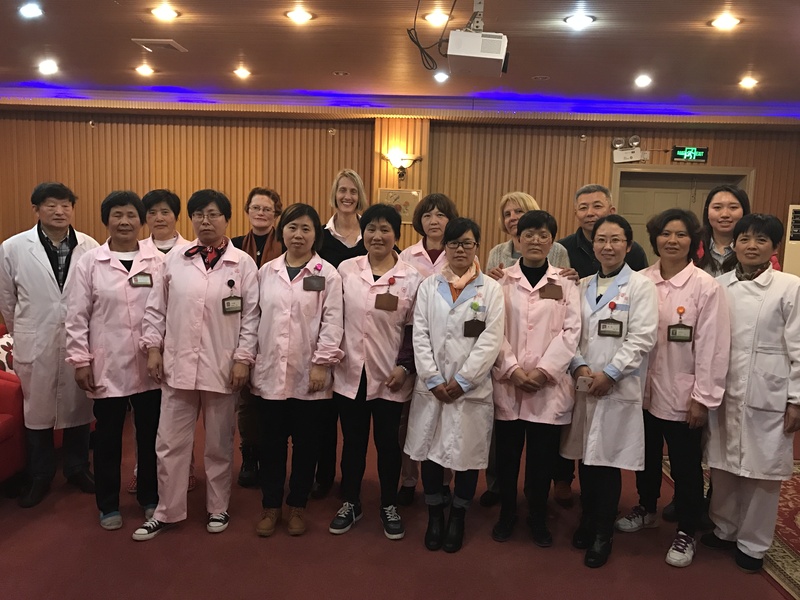 The group was very heterogenic concerning gender, age, occupational and educational background and different care experiences. 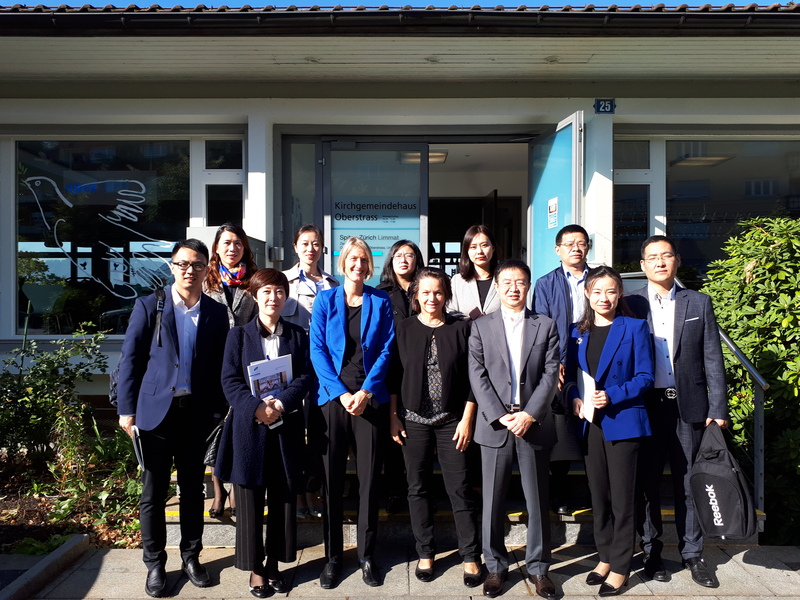 3 men and 16 women from all over Switzerland started the first pilot course “Nursing assistant Spitex” together at the campus facilities of Goldstück in Aathal and they were excited about what to expect. 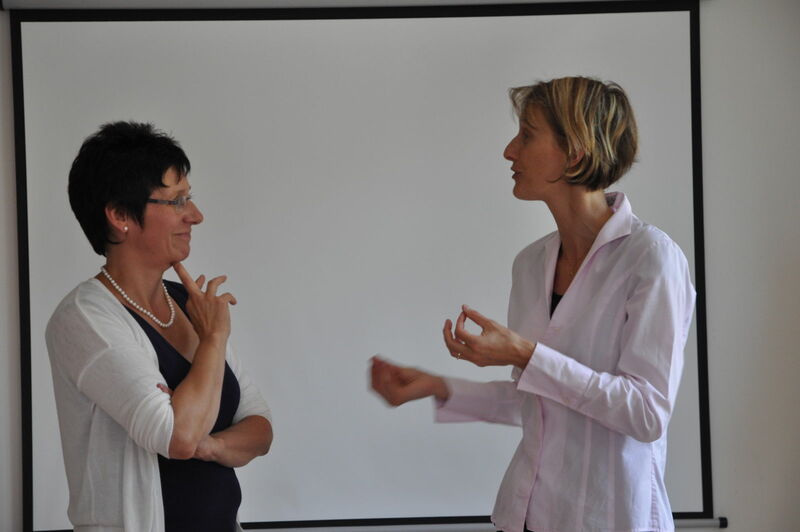 Ursula Wegmann and Barbara Radtke have been the main instructors. Both are long-term lecturers with proven expertise, practical orientation and didactical training. Guest lecturers for introductory presentations accompanied them. Caring for the ageing population will be a huge challenge for our country. It is getting more and more obvious that there will be too little well educated caregivers for this important task. Goldstück AG is thus offering practically-oriented solutions for the education and placement of caregivers. 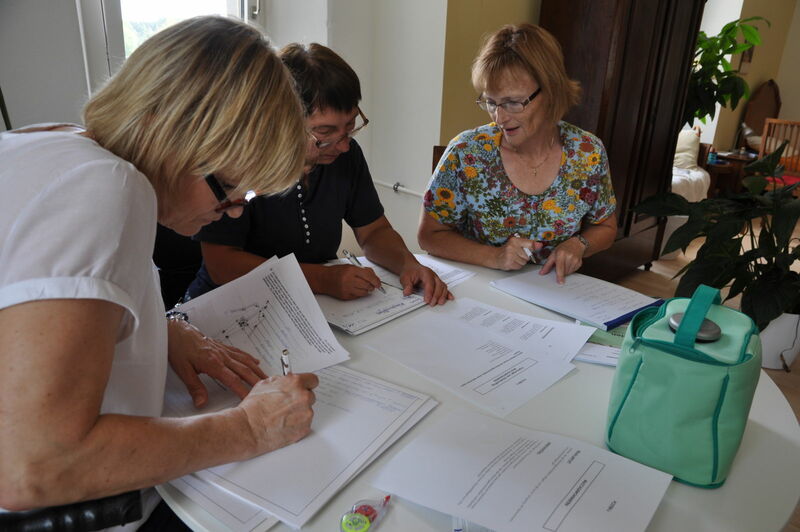 The "basic course for care" already started successfully and Goldstück AG is offering it together with Migros Klubschule. The "Cource for nursing assistants Spitex" is newly launched as part of the Goldstück campus offer to comply with the huge demand for well-educated specialists in ambulant care. The intermediary platform www.private-betreuung.ch has already been implemented and the consultation of companies and their employees concerning questions about caring for relatives (elder care) is in realisation as well. The organisation of care for relatives is likely the disproportionately greater challenge compared to childcare. This is why great employers are searching for more services and offers for their employees. 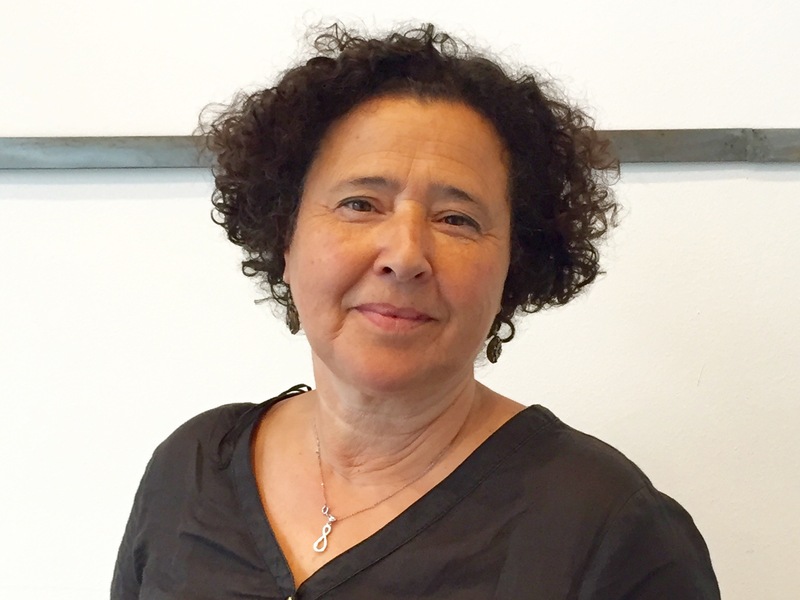 Barbara Radtke became known for founding the private "Spitex zur Mühle" and as multiple prizewinner (a.o. the Swiss Economic Award 2013). 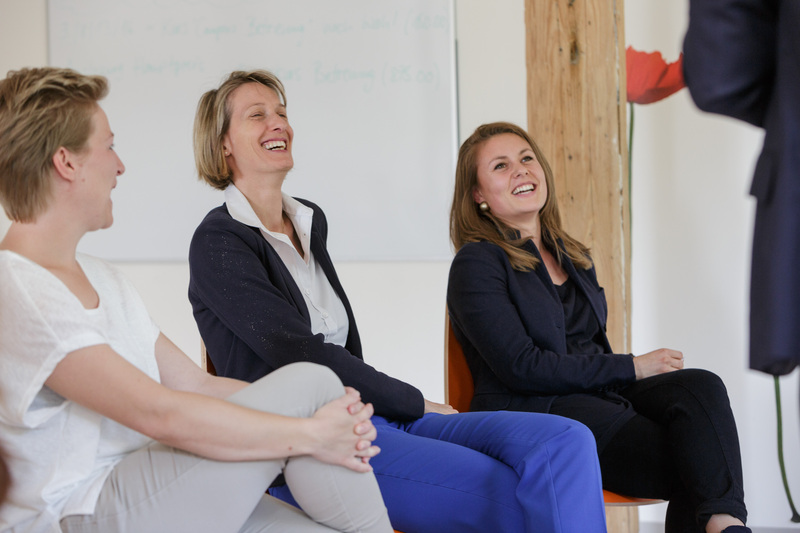 After selling "Spitex zur Mühle" she founded Goldstück AG, a company which is addressing according to her experience the hugest problem in care: the lack of suitable personalities - the gold pieces - who accept this challenge. With Kurt Schaad and Thomas Bähler she is strengthening her strategic leadership of Goldstück AG for the expansion to new fields of activity. Kurt Schaad (*1950) became known as presenter of the show „Karrussell“ and then developed and managed the formats "SF Fernweh“ and „ECO“. 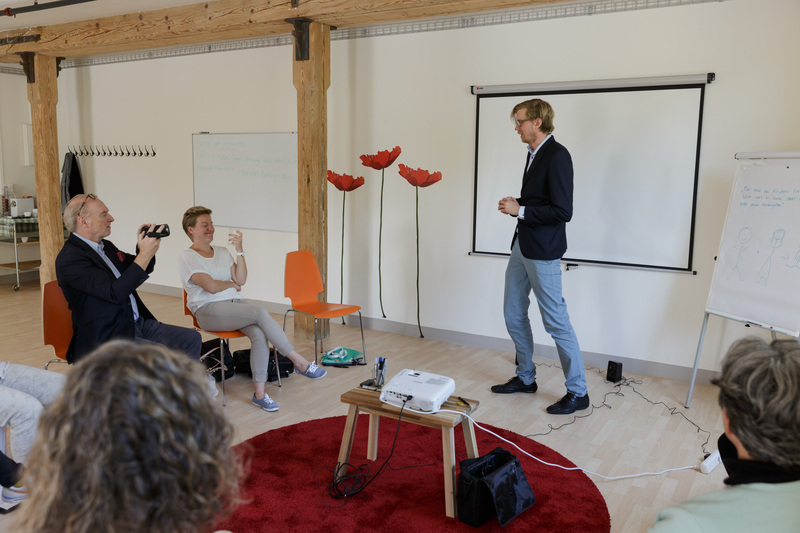 In 2010 he founded the youth channel JOIZ together with partners with which he won the Swiss Economic Award 2014. Dr. Thomas Bähler (*1968) is a business lawyer at Kellerhals Carrard. He is a member of several Boards of Directors and as president he is thereby responsible for more than 2,000 employees and a turnover of more than 500 million Swiss Francs in total. He is active in the start up, young entrepreneurs and technology scene for 20 years now, a.o. as responsible for the Swiss Economic Award. As an active investor he is also holding shares of several companies. To assure the consistent quality all lecturers are sent to an internal further education twice a year. Additional to current company information the lecturers are also filmed in unfamiliar course situations to further increase their competencies. Kurt Schaad and Barbara Radtke then give a differentiated feedback. Geneva is taking a new approach. The "Basic course for caring" is launched as a cantonal offer there, which can be attended by using education vouchers. This has the advantage that more people - also those with less financial means - can start their education in care. In a TV spot information and impressions about the "Basic course for care" are shown. Migros Klubschule is offering the "Basic course for care" in cooperation with Goldstück AG since beginning of this year. The course is suitable for lateral entrants or caring relatives, takes 5 days and is divided into 10 modules. Due to its practically-oriented implementation the participants feel and experience what it means to touch, transfer, wash and communicate with a person about personal topics. After these 5 days it is very likely that the participants can say if and in which form they are suitable for an occupation in this field. 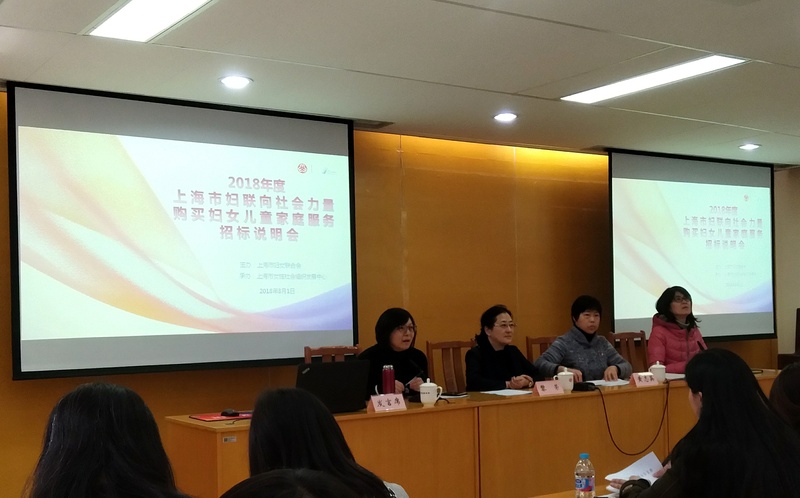 The "Basic course for care", that has been launched in autumn 2015, is finding more and more acceptance in terms of employment in the field of care and the areas of private or non-remunerated care. 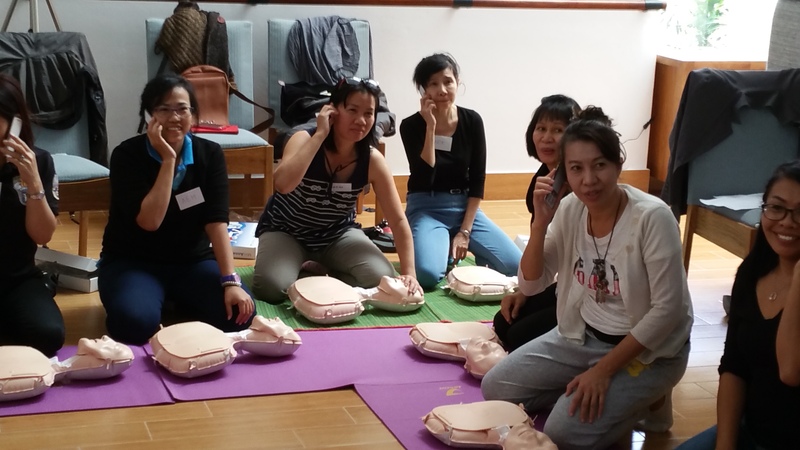 Private or public Spitex organisations, individuals and care homes employ increasingly participants of the "Basic course for care" and let them be internally trained or by means of a nursing assistant course. This development is helping to a large extent that more and more people can afford care for their relatives at home with caregivers living and working in Switzerland. Pilot projects with public Spitex organisations and hospitals are planned and the new own nursing assistant course (analogue to “SRC nursing assistant”) will be offered in autumn. Talks with SantéSuisse and the health insurances let us expect additional opportunities. The successful completion of the "Basic course for care" is the minimum requirement in the field of care for registering on this platform. In this way a minimum standard is created for this formerly opaque sector. Individuals can contact caregivers directly over this platform and individually negotiate the terms of employment. The platform quitt.ch allows the easy completion of employment formalities for individuals. The service is free of charge and is offered by Goldstück AG in cooperation with quitt.ch. Goldstück AG was founded about a year ago and is focussing on three topics. These are besides education - among others with the "Basic course for care" - living and society. 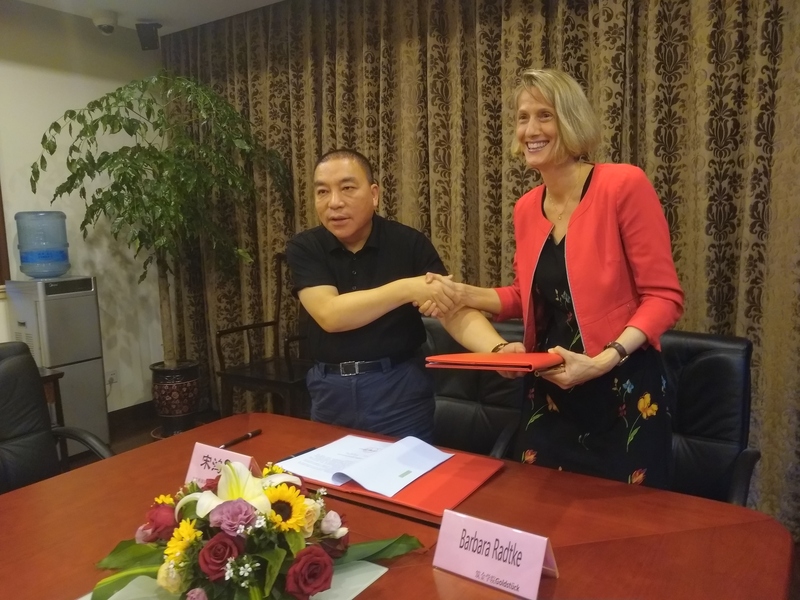 The company was founded by the multiple prizewinner and serial entrepreneur Barbara Radtke. quitt.ch enables the conclusion of an employment with just a few clicks. Instead of communicating with different contact points to correctly register and insure domestic workers quitt.ch users have one competent contact person for all requirements. quitt.ch is offered by ServiceHunter AG and is online since autumn 2011. The spin-off of ETH Zurich has currently 12 employees and is cooperating with all cantonal compensation funds and tax authorities in Switzerland. 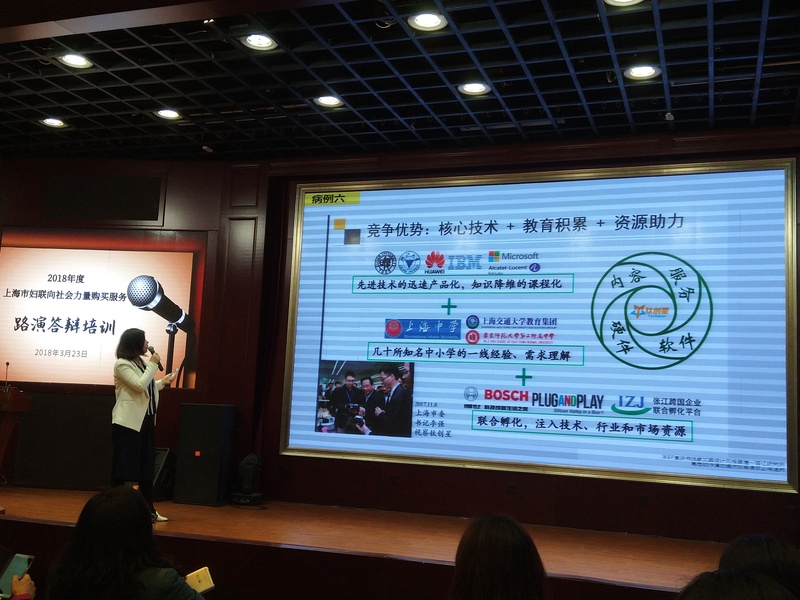 quitt.ch is supported by the Federal Promotion Agency for Innovation (KTI). On the current care market it is hard to find suitable caregivers for private employment. Goldstück and quitt.ch launch an easy solution for this demand. This offer is free of charge for providers and searchers and shall let our gold pieces shine. The "Tribune de Genève" writes in its article: "According to statistics about 2 million additional people will be in need of care in the year of 2030." Furthermore it stated about the question of why a private provider launched this offer that: "Because it is satisfying a demand as more elderly people need care than public institutions could offer." Geneva even makes the suggestion that education vouchers could help that more people visit such courses and thus also care for their relatives at home. This is a concrete approach for taking a new path in health care. 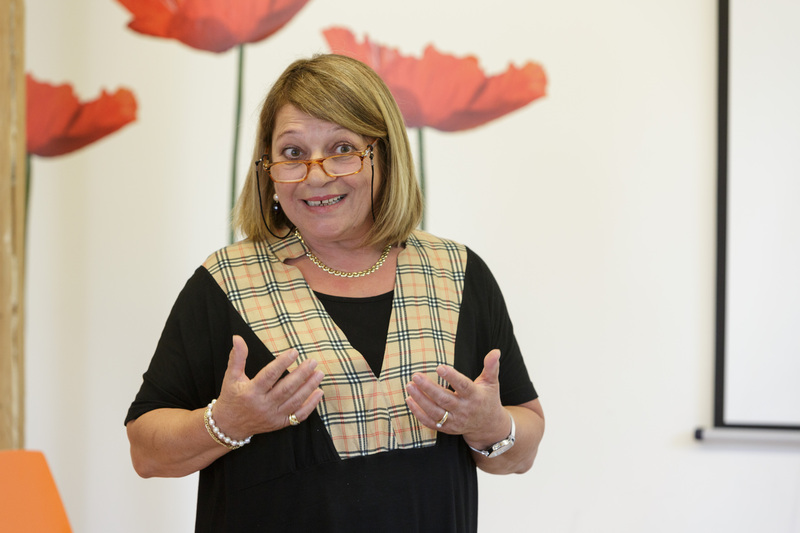 Goldstück developed a course that should facilitate the introduction to nursing and care. Thereby the potential of domestic employees shall also be better exploited. The care of elderly people needs time, personnel and instinctive feeling - assuring this at home is not easy. 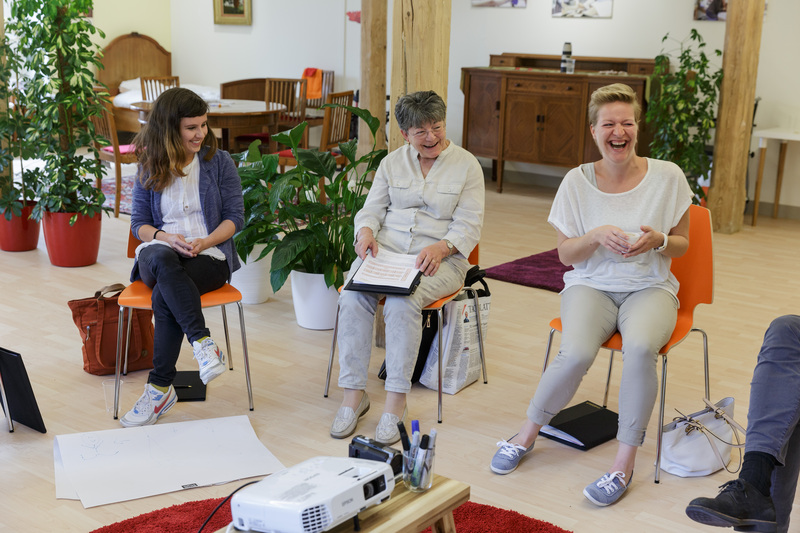 A five day basic course at Klubschule Migros offers now an easy introduction to care. Migros-Kulturprozent is citing Barbara Radtke in its article as follows: «The care market is currently very heterogeneous. We want to introduce unified standards.» Migros-Kulturprozent is describing the situation as follows: The social change means that it will be harder in future to cover this work by voluntary workers. Additionally families with relatives who need care the whole day have financial deficits that negatively influence the pension provision. A professional training not only prepares caregivers to their challenging tasks but also allows them to perform it in a regular employment status. 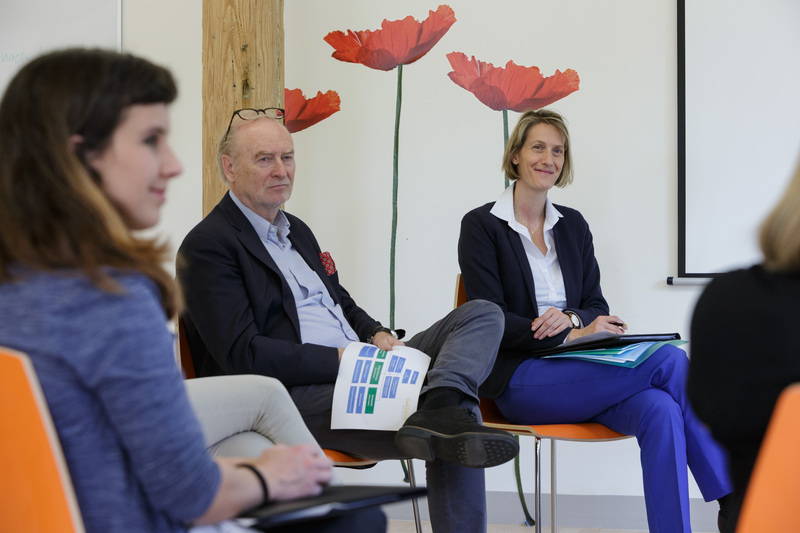 Goldstück AG is entering a partnership with Klubschule Migros: The "Basic course for care" will be offered in entire Switzerland as an offer of Klubschule Migros. 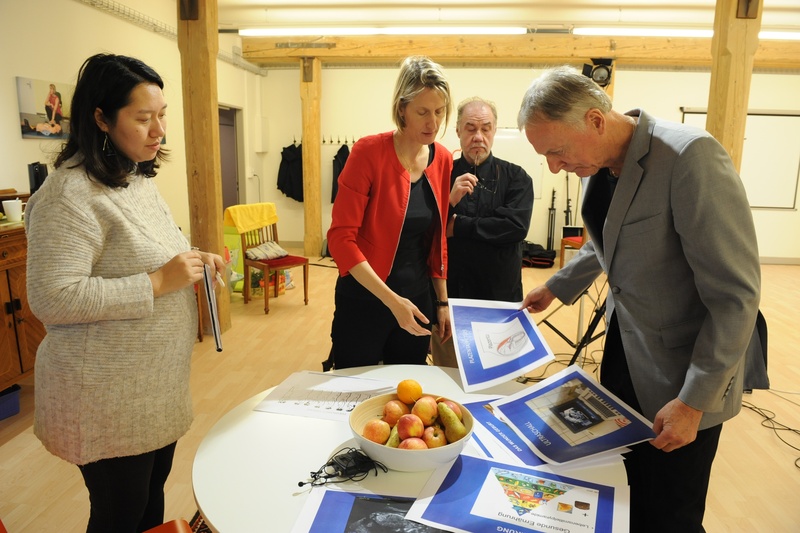 Goldstück is providing the lecturers, trains them and develops the course continuously. Klubschule Migros is marketing the "Basic course for care". Klubschule Migros is newly including the "Basic course for care" in its further education offer. Already starting with December 2015 the first "Basic course for care" will be held in the facilities of Migros Klubschule. The offer is geographically continuously improved and is planned to be finally available throughout Switzerland. Klubschule Migros wants to make a contribution to change the current situation of skills shortage in the field of care and nursing. 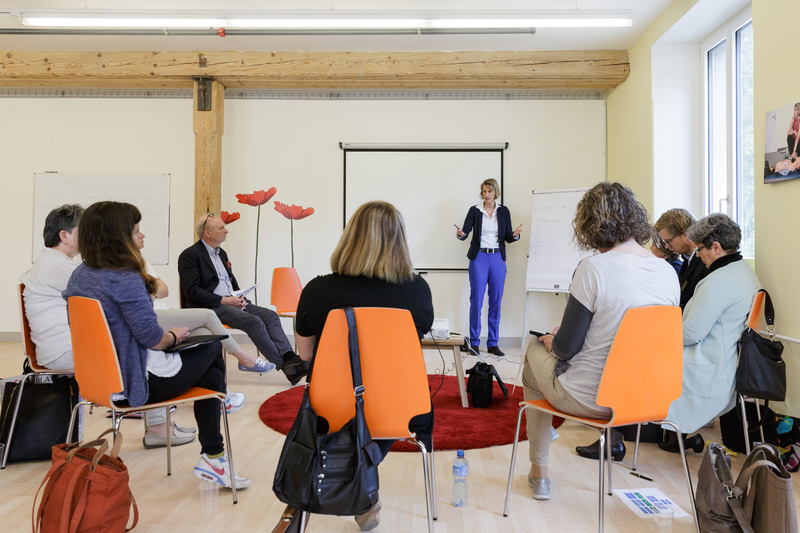 «The "Basic course for care" has a great potential to win more people for the care sector», says Barbara Radtke, initiator of the "basic course for care" and owner of Goldstück AG. The "Basic course for care" exists since October 2014. In total already more than 120 people visited the course and received the certificate of care. Thanks to the "Basic course for care" many participants received a new job perspective. 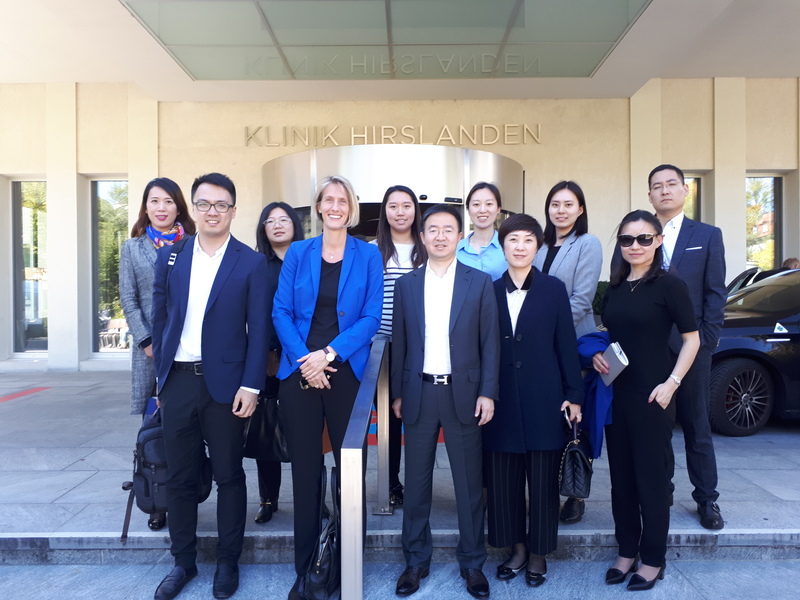 Press release "Basic course for care"
Flyer "Basic course for care"
Website "Basic course for care"
Medinside, the portal for the health sector, is reporting about the change of operative management at Spitex zur Mühle. And about the plans of Barbara Radtke. Once a year personalities from economics, politics and media all come together in Interlaken. This meeting is perfectly suitable for maintaining and expanding the existing network. Entrepreneurial personalities and lateral entrants pick up on current subjects in kick-off presentations and state their opinion. At least as important are the possibilities to communicate with other economical leaders at this event. In this way ideas and innovations have already been born. With Job-Speed-Dating in the health sector persons shall be found for nursing and care responsibilities that live in Switzerland. 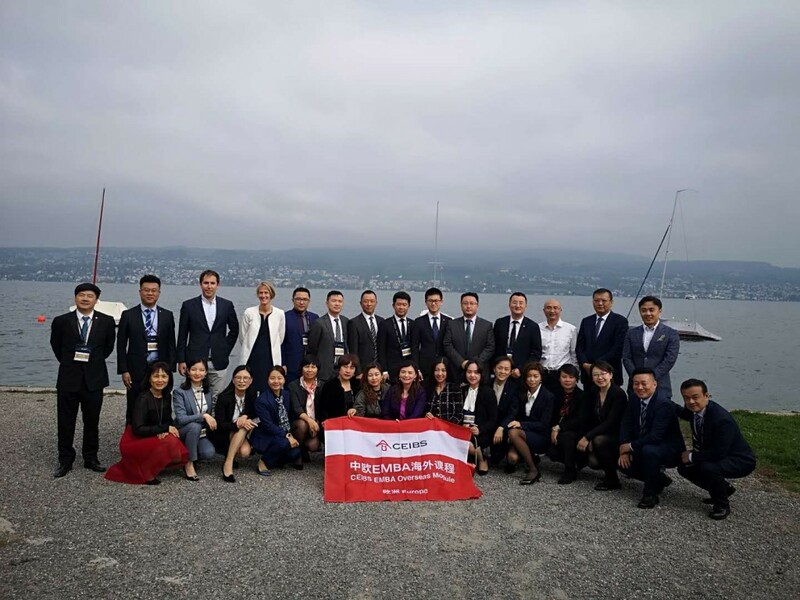 About thirty job seekers and nine companies searching for employees participated at the first event of its kind in Zurich. Spitex zur Mühle AG organised the Job-Speed-Dating in cooperation with the Office for Economics and Work (AWA) and the Employment Placement Office (RAV) in Zurich. The demand for suitable care and nursing personnel in Switzerland is huge. Considering the demographic development it will further increase. „The resources in Switzerland are not yet exploited“, says Barbara Radtke, owner of Spitex zur Mühle AG. 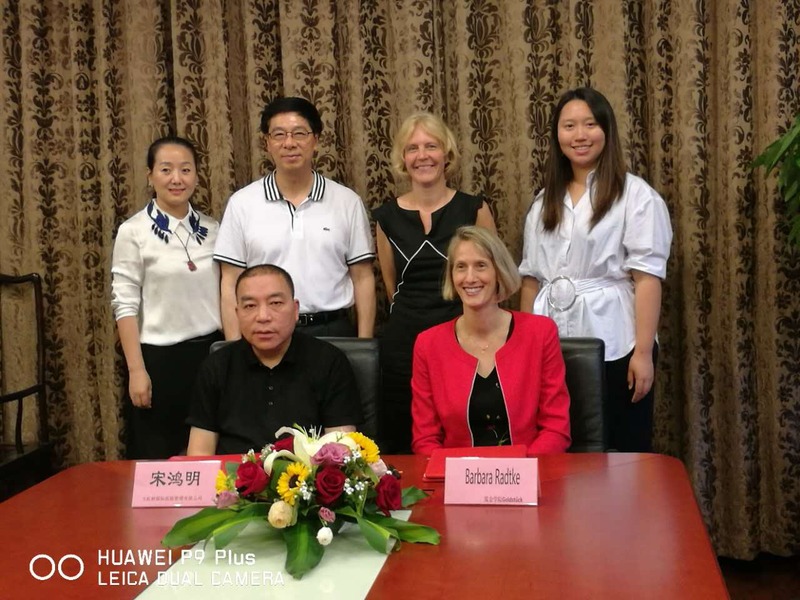 She is the initiator of to initiatives that are now tested and implemented in cooperation with the Office for Economics and Work if the Canton of Zurich (AWA) and the regional Employment Placement Office (RAV). One initiative is Job-Speed-Dating for the health sector. 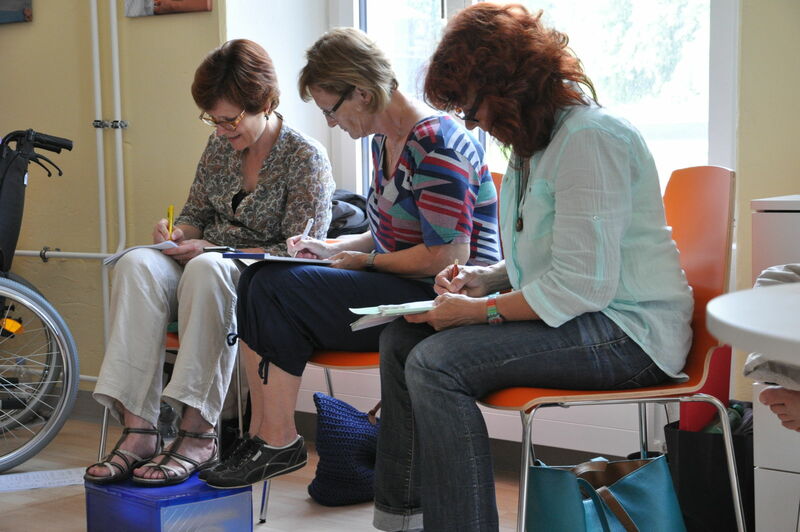 A first Job-Speed-Dating already took place in the self-help centre in the city of Zurich. Nine institutions, among them the Clinic Hirslanden, Home Instead, Spitex Gossau etc., communicated in short interviews with job seeking skilled specialists from health care. The main focus was a first personal meeting. In case of mutual interest an in-depth job interview was arranged. The job seekers prepare for the Job-Speed-Dating a week in advance by using role-plays and tips concerning their behaviour in job interviews. Then a registered nurse recommended which persons should be invited for the meeting with potential employers. Another initiative is the "Basic course for care". This offer is dedicated to lateral entrants and occupational returnees, job seekers, students and those already caring or nursing relatives. The basic course takes five days and finishes with a certificate. With that course graduates can gain experience during an internship or fixed employment, process their own orders over the internet platform or attend the course "SRC nursing assistant" in a shorter period of time. The initiatives are well received: About thirty job seekers and nine companies participated at the first Job-Speed-Dating. The "Basic course for care" was already realised twice. The third course starts end of January and is also already booked out. In total nine courses are planned. In autumn the initiatives will be evaluated. The results are the basis for further development of the offers then.